It takes a great deal of time and effort to write posts and articles each day, but we do it because of our passion for the club we support. Football Talk provides fans with the opportunity to write about the club they love and share their opinions with the world. Details of the Football Talk team can be found below. If you are interested in becoming a writer please contact us at admin@football-talk.co.uk. The main website author. Will provide a neutral perspective on all articles. Whenever a club author is unable to write a match report or cover an important story, football talk will step in. I’m a massive Arsenal fan who loves football, golf, blogging and gambling.I couldn’t resist the opportunity to write about my beloved team when approached by Football Talk. I will try and provide a balanced view in match reports, but will always give my honest opinion regarding player and manager performances. 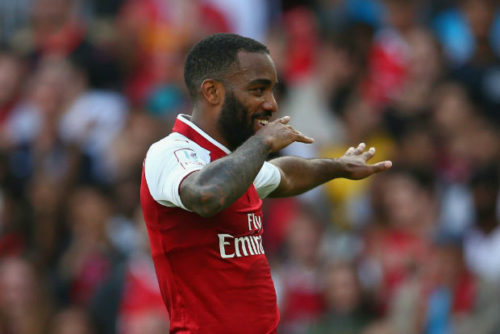 An Arsenal blog that provides readers with the latest news including up-to-the minute transfer gossip, match previews, match reports, daily news, team news and much, much more. We’re glad to have our articles published here on Football Talk, feel free to get involved in the comments section. I created my blog because I love my club, and I want to express my views, opinions and points on it. Arsenal Football Club is a part of my life. And in my blog, you will find a passionate Gooner blogging. 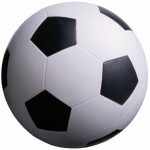 Enjoy Football-Talk and like having my posts read my its readers. My blog will cater for the needs of Chelsea Fans regarding latest news of our favorite club and also the fans will have the platform to express their opinions. Glad to have my work on Football-Talk so others can enjoy it and discuss it. Due to my incredible passion for football and being a big Chelsea fan, I decided to start ‘Chelsea FC True Blue’ back in 2008 so that I could share my good and bad moments concerned with Chelsea FC with Chelsea fans all over the world. Happy to be having my blogs content published on Football-Talk. Huge Liverpool fan who loves to write about my beloved Reds. Run my own blog ‘Friends of Liverpool’ that brings my take on Liverpool news, feel free to leave your comments on my work – both good or bad. We wanted to create a blog that featured all the latest Manchester United News, Man Utd match reports, transfers, insight and discussion around Man United. Most of the articles will be written with an unashamed United bias (It is a Man United fan site after all) but we will look to take a unique angle and cover the matches and news as we see it. Although I make my living as a lawyer, I have always dreamed about becoming a professional football journalist. When time allows, I will do my best to keep you updated about Spurs’ transfer news, match previews, match reports, the club’s Hall of Fame and any other relevant info. I am one of the Real Football award-winner – December 2010 held/organized by GSP and one of the nominees for the Talent of the Year award given by the Ioan Chirila foundation. I’m a passionate Spurs fans who loves a bit of a rant almost as much as I dislike the prats from down the road (Ars*nal). I will post on most days, including a post before every match called ‘Thoughts Ahead Of’, as well as all after thoughts that I have of the games. Please feel free to leave feedback, as I’m constantly looking to improve.